Early registration ends on Thursday, May 30th at 8 p.m.
1. Fill out the Waiver below. 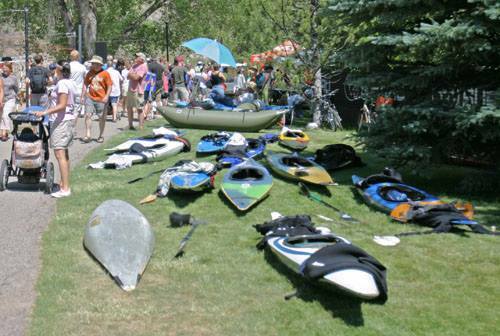 All athletes and volunteers must sign the following waivers to be a part of Animas River Days. Event registration will close 30 minutes before each event. ​Pre-register before May 30th at 8 pm and get a free 6-pack of Ska beer. • RAFT REG. FEE INCLUDES: ACA insurance coverage, one t-shirt and six comp bags (participation in raft race does not qualify for multi entry discounts) Additional t-shirts purchased separately. • Mandatory Athlete Meetings 15 minutes before each event at announcers booth or as otherwise directed.